There are many foods being promoted as super foods and becoming part of a lot of online diet plans as well. However, there is one ingredient which is rarely talked about but is very beneficial to have even on a daily basis. This is one magical ingredient which is in common daily use in India. In addition it is used regularly in many other parts of of Asia and is to be found in every kitchen. It is something loved by Indian homemakers and cooks. It is not only full of flavor but also very beneficial. This condiment is ginger and also known as galangal. Ginger gives a lovely flavour to food. There is a certain distinctive flavor which you get out of the food by adding ginger. It is also a great taste substitute for chillies, onion and garlic. If you do not want to use onion and garlic in your food, try adding some ginger. The food will become more delicious. In addition, it gives a certain amount of punch and spiciness when cooked with food. 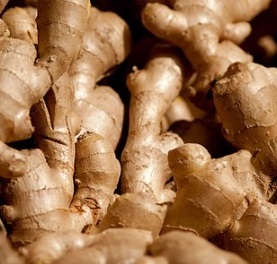 The spiciness of ginger does not irritate the stomach and is actually beneficial. Chillies are not too great for health. So it is is a good idea to spice up your food with ginger. Ginger gives a slightly different taste based on how you cook it. Ginger paste, finely chopper and sauted ginger and ginger pieces, all give a slightly different taste. Another worthwhile factor to note is that you do not require additives like monosodium glutamate (ajinomoto) or ketchup and sauces once you add galangal to food. It is useful for arthritis and rheumatoid arthritis. Anyone in any age group with these problems should use ginger in different forms. Regular usage will help ease pain. It is anti – inflammatory and helps speed up internal recovery in case you fall ill. Therefore ginger, in combination with turmeric works very well for internal healing. In case of any minor internal injuries or inflammation, you can have boiled ginger water. In combination with rest, it will hep give a boost to the recovery process. Ginger is very beneficial for colds, coughs and flu. Have ginger milk or ginger water 2 to 3 times a day to get rid of flu, colds, fevers. You will not require any other medicines. In cold climates or weather, you can safely have ginger two to three times daily. Chew on ginger pieces coated with honey to soothe the throat. Have hot ginger milk to strengthen the immune system and when you have fever. Ginger water with a dash of lime will help in colds and cough. It helps strengthen the immune system. Having ginger regularly helps build up immunity. Smash and boil a small piece of ginger in milk or water and sip it slowly. Have once a day before going to bed. This concoction of ginger with milk or water is also good for asthma and breathing disorders. It is an excellent ingredient for gastric disorders. Indians use ginger or ginger powder in dishes which are heavy to digest or acidic in nature. It helps prevent acidity. It gives relief in symptoms like dizziness, nausea, cold sweat and vomiting. Add dried and powdered ginger or a few drops of fresh ginger juice to lime juice and water. You may add some salt and water to this and drink it to replenish yourself. It is one of the safest ‘drugs’ for reducing nausea and vomiting in pregnant women with no side effects to the child. Make sure you add ginger to the diet of pregnant ladies. Ginger has a substance called gingerols which prohibit the growth of cancer cells and have shown to kill ovarian cancer cells. Therefore it is also anti-carcinogenic. With so many benefits, it makes sense to incorporate ginger in your daily meals or as part of a balanced diet plan. Alternatively, just boil it with your milk or tea to make a lovely herbal drink.